Did you forget to check the calendar, and now Valentine's Day has caught you unprepared!? Some refer to Valentines Day as Single Awareness Day, but even those who are single can still get on the V-Day fun! ❤️ Auntie Anne's: Get an original or cinnamon sugar heart-shaped BOGO pretzel at Auntie Anne's on Valentine's Day. ❤️ Caulipower: The cauliflower crust pizza brand has a special buy-one-get-one free offer through Valentine's Day. Learn more at CaulMeMaybe.com. ❤️ Coffee Bean and Tea Leaf: From 2 p.m. to close on Valentine's Day, get a free drink with any regular or larger size purchase. ❤️ Corner Bakery Café: From Wednesday through Saturday, get a buy one, get one free entrée deal. Dine-in only. 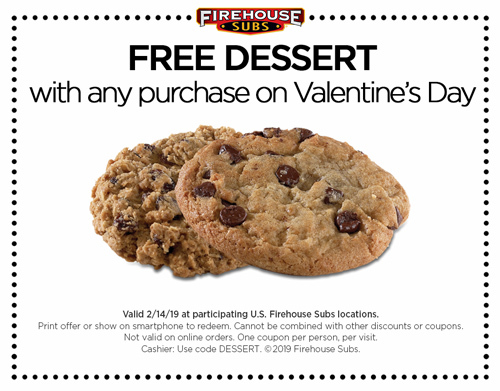 ❤️ Firehouse Subs: Get a free dessert with a Free Dessert Coupon and a purchase at participating locations on Valentine's Day. ❤️ Fogo de Chão: Couples who have a full Churrasco lunch, dinner or Sunday Brunch at the Brazilian steakhouse Thursday through Sunday, get a complimentary dining card redeemable for a free Churrasco lunch, dinner or Sunday Brunch of equal or greater value. The dining card can be redeemed February 18th through to May 2nd. ❤️ Freebirds World Burrito - Dine in at Freebirds on Valentine's Day, and get free a queso with your burrito. ❤️ Hooters: Hooters is inviting guests to burn, bury, rip or shred a picture of their ex to earn 10 free boneless wings with the purchase of 10 wings. You can use a shredder provided at participating Hooters restaurants or shred virtually at Hooters.com/ShredYourEx. Customers who go to the online shredder will receive a digital coupon for the deal. ❤️ Ibotta: Free glass of champagne, up to $5.00. To get the rebate, download their free app, open the Restaurants and Bars category starting Wednesday, tap the Sparkling Wine – Any Brand offer, then buy a glass of champagne and upload your itemized receipt to get your $5.00 reward. ❤️ Jack in the Box: Get a free five-piece Mini Churros, slice of cheesecake or regular shake with any purchase on the mobile app Thursday. Sign up for offers at JackInTheBox.com. ❤️ McAlister's Deli: Participating McAlister's restaurants are offering up to two complimentary kids meals with the purchase of an adult entrée on Valentine's Day. ❤️ Piada Italian Street Food: From 5 to 10 p.m. on Valentine's Day, Piada is offering buy one, get one free on all entrees. ❤️ Pie Five Pizza: New and existing Circle of Crust rewards members will get an offer for a free dessert to redeem Thursday through Sunday. New members sign up by Friday to get the offer on mobile apps or online at Piefivepizza.com. ❤️ Plated Meal kit delivery service is offering a year of free desserts when you sign up for the service before February 14th and use the code BEMINE. ❤️ Potbelly: Potbelly Sandwich Shop will give free cookies to anyone who comes into a Potbelly without a significant other with the purchase of an entree sandwich or salad. ❤️ Pretzelmaker: Wear pink to participating stores Wednesday, and get a buy-one-get-one cinnamon sugar pretzel deal when they say On Wednesday, we wear pink. The pretzels are pink through February 28th. ❤️ Red Lobster: When you dine in at Red Lobster on Valentine's Day and order a glass of Ava Grace, you will get special chocolates, while supplies last. ❤️ Qdoba: Buy one entrée and get one free when you kiss anyone (or anything) on on Valentine's Day. ❤️ Scooter's Coffee: The chain is giving away free Coffee Espresso Chocolate Meltaways on Valentine's Day. ❤️ Seasons 52: If you get engaged at Seasons 52 on Valentine's Day, get a free champagne toast at your special table every time you dine for one year. Learn more at Seasons52.com. ❤️ Free Condoms -- Find nearby organizations and businesses who give away free condoms (and, in some cases, free lube, as well). ❤️ FREE Valentine Gift at Pressed Juicery for both you and your friend. ❤️ FREE Box of Halo Top Pops - offering the first 1,000 fans one FREE box of Halo Top Pops, while supplies last, beginning at 12PM ET on Valentine's Day. ❤️ FREE Valentine's Day App for Valentine RADIO - 50+ romantic radio stations. ❤️ FREE Valentine's Day App Valentine's Countdown - While listening to music (built-in or your own), see the number of days countdown until Valentine's Day. ❤️ Free Amazon Music Playlist (Prime Members) - Celebrate Valentine's Day with a special playlist on Amazon Music. The list compiles what they call the greatest love songs from every era. -- No need to spend big bucks at the movie theater – curl up with a movie at home instead! Words and Pictures | Salmon Fishing in the Yemen | The Song | The Big Sick | Lovely, Still | and more! -- Visit your local MinuteClinic on February 14th, 21th, or 28th to receive a FREE heart health preventive screening. You will learn the five key personal health numbers which can help you determine your risk for heart disease. ❤️ DaySpring – FREE Valentine E-Cards -- Choose from a number of FREE religious e-cards to send out to your loved ones. ❤️ FTD – FREE Love Coupon Book -- Download a FREE book of 30 printable love coupons to show your significant other how much you adore him/her throughout the year. Here are even more freebies: printables, gifts, ideas, and recipes... if you have been caught present-less! ❤️ 13 LOVELY Valentine's Papercraft Tutorials -- Use these 13 LOVELY Valentine's tutorials for inspiration to show that special someone you care! ❤️ The Best Valentine's Day Freebies and Cards -- Valentine's Day banners and posters, bookmarks and stickers, labels and cards galore! ❤️ Freebie: 6 Hand Lettered Mini Valentines -- Save your dollars by crafting your own with these printables – 6 unique sayings all love-lettered for you. ❤️ DIY Unique Valentine's Day Cards -- These DIY Valentines Cards are funny, sweet, corny and perfect for putting a smile on your spouse's face! ❤️ 14 Valentine's Day Treats -- Treat your sweetheart to a few of these sweet and delicious desserts. ❤️ Bouncing Love Bugs -- Great for parties, camps and classrooms, this kid-pleasing craft begins with easy-to-use STYROFOAM™ brand foam and ends with plenty of delighted giggles! ❤️ 20 Last Minute Valentine's Day Gifts -- These last minute valentine's gifts are simple to make and impress your recipient more than a store-bought box of chocolates. ❤️ Treats for Your Sweetheart: 14 Valentine's Day Desserts eCookbook -- Nothing revs up the romance like homemade from the heart treats. ❤️ 19 Best Valentine Crafts for Kids -- With these crafts, kids can help Mom decorate for the holiday or create their own valentines to give to family and friends. ❤️ Valentine's Day Freebies -- Some special Valentine cards for YOU to cut out and send to your friends! There is also some Valentine puzzles. ❤️ Free Valentine's Day Printables -- A wide range of free Valentine's Day printables, including cards, treat decorations, decorations for your home, activities for the kids, and even printables you can use to give as Valentine's Day gifts. ❤️ 12 Sets of Free, Printable Valentine Bingo Cards -- These printable valentine bingo cards make a quick Valentine's Day game for your classroom, group, or home. You'll love how easy it is to put together and the kids will love how much fun it is. ❤️ 15 Valentine's Day Party Games for Kids -- No matter what size of a group of children you have, these games should work wonderfully. ❤️ 26 Free Valentine's Day Word Search Puzzles -- Valentine's Day word search puzzles are a fun way children can celebrate Valentine's Day while at the same time strengthening their vocabulary and spelling skills. ❤️ 543 Free Valentine's Day Coloring Pages -- These free Valentine's Day coloring pages will give you a way to keep the kids busy and happy while the weather is still cold and snowy outside. ❤️ 15 Sets of Free Printable Love Coupons -- These free printable love coupons are a great gift for your sweetheart on Valentine's Day, a birthday, anniversary, Christmas, or any other special occasion. ❤️ 10 Free Printable Valentines Cards for Valentine's Day -- A great collection of funny, touching, beautiful, and stunning printable Valentine cards sure to please both the young and the young at heart. ❤️ CyberKisses -- Send your Valentine sweetheart an animated kiss at this clever free digital card site. There are kisses for girls, kisses for guys, hugs and smooches of all varieties, from blown kisses to healing kisses to smiles, nibbles and even wet kisses. If it involves puckered lips, it's here. ❤️ The Love Calculator -- Calculate the probability of a successful relationship between two people. An affective way to get an impression of what the chances are on a relationship between two people. ❤️ Valentine's Day 2019 -- All things Valentine-related, offering all sorts of freebies: virtual greetings, desktop wallpaper, games and more. You will also find Valentine-related recipes, gift ideas and poems. ❤️ Angry Birds Valentine's Day -- A fun Valentine's Day version of Angry Birds that you can play in your browser. ❤️ Valentine's Day Coloring Pages -- These free, printable Valentine's Day coloring pages are fun for kids! ❤️ Free Animated eCards for your Valentine -- These Funny Valentine's day eCards will without doubt help you secure the heart of your sweet Valentine! Be Awesome, be Irresistible, send a BeingSo Animated Ecard now! ❤️ Frozen-Inspired Printable Valentines -- Send a sweet Valentine's Day card that will melt the coldest heart. These adorable printable notes feature Olaf, Anna, Elsa and the rest of your favorite characters from Disney's Frozen. ❤️ Printable Valentine Cards for Dog and Cat Lovers -- Does your valentine have four legs and fur? Here is a collection of printables purrfect to give to your pet, favourite pet parent or loved one. ❤️ 23 Awesome STEAM Activities for Valentine's Day -- What fun activities are you planning for Valentine's Day? If you need some STEAM inspiration here are 23 ideas for you! -- Are you ready for some quick-and-easy valentine projects and party plans today? -- This mother-lode of Valentine activities for kids (toddlers, preschoolers, and any other hands-on kids) covers everything from cards to treats. With 30 Valentine activities for kids here, this should keep us all busy until St. Patrick's Day! -- Print these wonderful NASA Space Place Valentine's Day cards and give them to family and friends! -- Valentine's Day is an excellent time of year to talk in our homes about the meaning of love, and the symbols used and why. -- These DIY valentines don't require glue, glitter or candy. And your kids can basically make them on their own. So what are you waiting for? -- What better way to make Valentine's Day special than by hitting the kitchen and whipping up some super-cute creations with your kids. -- You can start listing out different reasons your loved one is special to you from A to Z. -- Put that special present into a handmade gift box, and add a greeting card or pop-up card. The fun craft cards and pop-up cards with their special extra devices are cute enough to give as a gift by themselves! 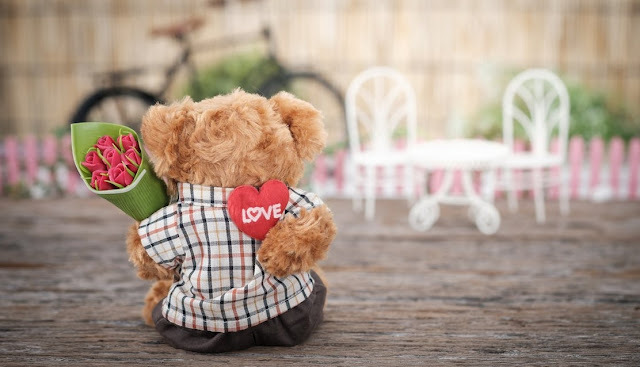 A heartfelt handmade item is sure to bring a smile to that special someone's face. -- Hand made valentine gifts are always more meaningful and better received than something store bought, so why not make something? -- Here are five projects to get you in the paper crafting mood for Valentine's Day. -- This basic craft idea can be used with different materials to make it appropriate for everyone from ages 2 thru 82! -- Use these stickers to make lovely customized crafts to show the ones you love just how special they are. -- Lots of kids love Valentine's Day festivities at school or just the fun of giving Valentine's Day Gifts to family members or friends. These printables make it easy for everyone. -- Valentine's Day is just around the corner, and it's the perfect opportunity to craft with the kids. -- Special valentines that are more romantic than a midnight rescue in Jabba's palace. -- The holiday is here, and you can pepper your Valentine's Day with Star Wars. Here is your protocol droid planner with programming suggestions. -- More star Wars crafts and recipes for Valentine's Day. -- Free coloring pages to download and print. -- 166 free valentine cards that you can download and print. -- Let your friends (and arch-enemies) know how special they are with valentines featuring Phineas, Ferb, Agent P, and Dr. Doofenshmirtz. -- Valentine's Day crafts, printables, games, and more for your classroom. ❤️ Valentine's Day Free Printable Cards and More! -- Enjoy this list of over 50 free Valentines by some amazing artists! -- Celebrate Valentine's Day with Disney crafts, recipes, and printable valentines, and more DIYs! -- Some fabulous Valentine's Day printables that you are going to L.O.V.E! -- There is nothing better than showering extra love on precious people in our lives! -- I wanted to find Valentine printables because they are the best gifts! Pair them with a cheap frame and it looks like a great present. -- Printable Valentine delights, including paper baskets, bookmarks, word search puzzles, heart Valentines, mini Valentine cards and personal Valentine coupons. -- You'll love these FREE print and go activities used with Sweethearts candy hearts as their main theme. -- Sweep your Valentine off their feet with the most thoughtful gift ideas to complement chocolates, roses, teddy bears and more. Create heartfelt cards for your loved one and then create personable templates yourself using free templates and designs to decorate all your Valentine's gifts.